For centuries prior to the World War I advent of the wristwatch, men carried their personal watches in waistcoat pockets. 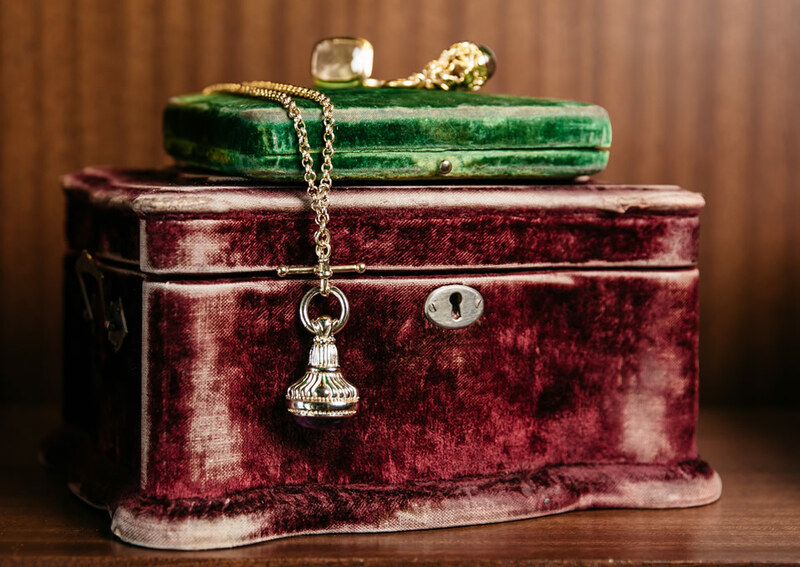 The short chains, attached for easy handling of the watch, became the centerpiece of the gentlemen’s ensemble and provided the opportunity to hang additional decorative objects. The fobs hanging from each pocket became quite elaborate, and small personal seals were often attached to the free end, signifying institutions, associations and even loved ones. 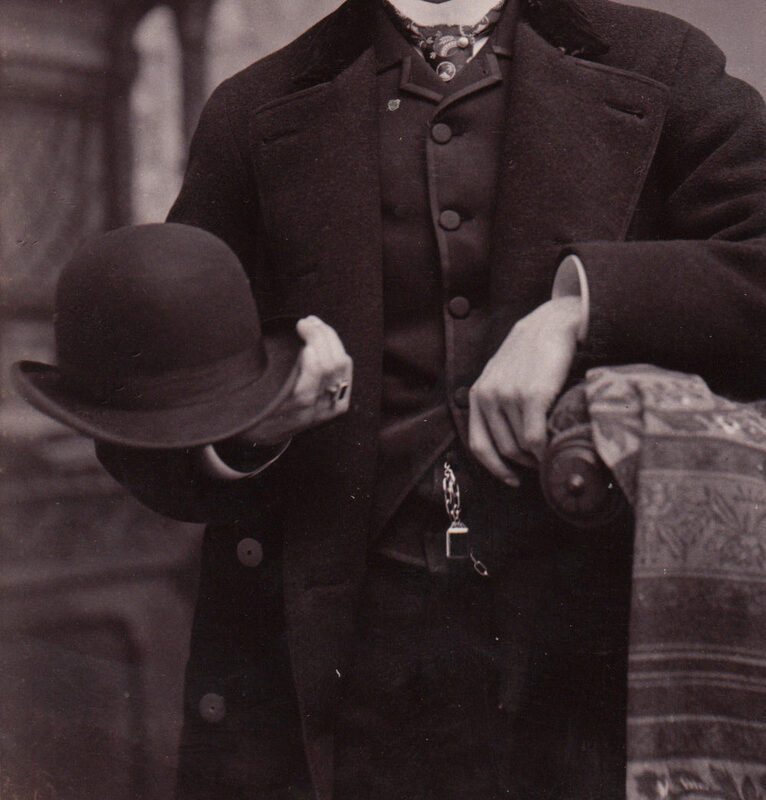 Fob-style was the definition of menswear chic for a good portion of the 19th century. The heavy watch chain worn by England’s Prince Albert (1819-1861) soon became a status symbol known simply as the “Albert,” as he and his wife, Queen Victoria were considered to be the fashion trendsetters of their day. The Albert can be found in single and double versions. The single has one swivel clip, often called a dog clip, and a T-bar which has an additional chain to which decorative fobs and medallions are attached. The T-bar is inserted into the button hole to secure the chain and watch as a safeguard. The tradition of women wearing watch chains as necklaces originated when soldiers departed home for the battlefields of WWI, leaving pocket watches and chains behind with their wives. Women would wear these talismans around their necks keeping them safe and close to the heart.